Since Google’s custom URL shortener was shut down on April 13, 2018, users are finding difficult to create shortened URL. The news indeed took a lot of internet enthusiast by surprise because it is one of Google’s most popular services. However, it is gathered that the discontinuation was a result of Google’s shift focus to Firebase Dynamic links. Firebase Dynamic links are widely considered as the future of link building in the next few years. Despite the abrupt stop of Goo.gl, there a few offering the service. 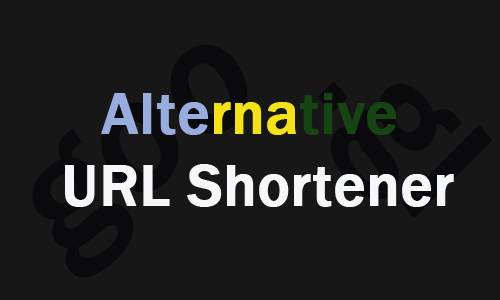 Here are some of alternative custom URL shortening you can use in 2019. When it comes to URL shortening tools, one of the most recognizable names would have to be Bit.ly. Using the Bit.ly custom URL shortener increases the chances of having your URLs clicked. The free tool enables you to cut short URLs by simple copy and paste steps. From there, you can instantly copy and paste this link to your website as much as you would like. Registered members are granted more options including customizable links, tracking statistics for specific links. Bitly Enterprise members also assess features such as creating campaigns and more secure links. The TinyURL is another custom URL shortener that has been in business for some time. It enables you to not only shorten URLs but also customize it for free. What makes this tool even more handy to use is the option of being able to add it to your browser toolbar for Mozilla users and as a Google Chrome Extension. For those who need to shorten your links in a hurry, TinyURL is the best tool for you. Once a tool that was free to use like TinyURL and Bit.ly, Ow.ly is now a part of Hootsuite, which is a popular social media sharing and monitoring tools available. The Ow.ly Hootsuite combination allows users to easily integrated links into your social media posts. It is the simplest tool is.gd. This custom URL shortener is swift in giving you a shortened link without the need for CAPTCHA codes or extra verification. Apart from creating a shortened URL, you can also create a custom URL. Branch.io creates URL optimized and shorten your mobile devices. It is a handy custom URL shortener that enables create links, integrate them with other applications, and link tracking. Like Ow.ly. Buff.ly is a part of Buffer (social media management tool). If you are a Buffer user, then buff.ly custom URL shortener is a feature that you should utilize. In the wake of the discontinuation of Goo.gl, the list above is a variety of quality custom URL shortening tools available to you. These tools are custom URL shortener you can trust to make use of on your social media posts and emails.